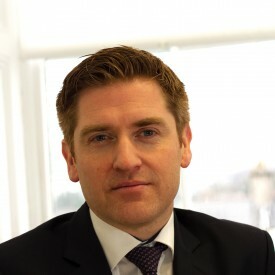 Darren Murphy is a Partner in the Firm of Neville Murphy & Co. Darren graduated in 1997 with a Bachelor of Laws Degree. He qualified as a Solicitor in 2001 and was awarded a Higher Diploma in Employment Law by University College Dublin in 2010. Darren’s main areas of expertise are in Litigation, Personal Injury, Licensing, Employment and Commercial Law. He has extensive experience in acting for both private and corporate clients in the District, Circuit and High Court giving him a clear insight into the Irish Courts System. Over the last 15 years he has established close working relations with barristers so as to ensure he has a strong team to support the office and the client. Darren also has considerable experience with the debt recovery process. Darren is a member of the Wicklow Solicitors Association and the Dublin Solicitors Bar Association.